H.264 video compression format, 4-channel video input, 1 composite video output; used by the U.S. ADI Professional 10bit image processing chip, in the same code on the market shed more than 8bit chip processing to improve the quality of the picture 4 times. 4-channel image processing chip for each path independently without disturbing each other. 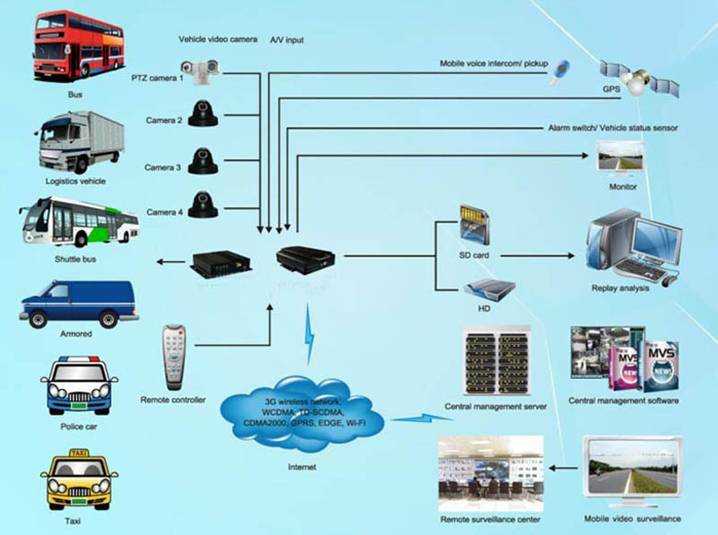 Accident under the power-off protection function: using special UPS technology, which enables the machine to cut off the external power supply can work 3 to 5 seconds, can ensure video data integrity preservation, to avoid file corruption, convenient accident inquiries. 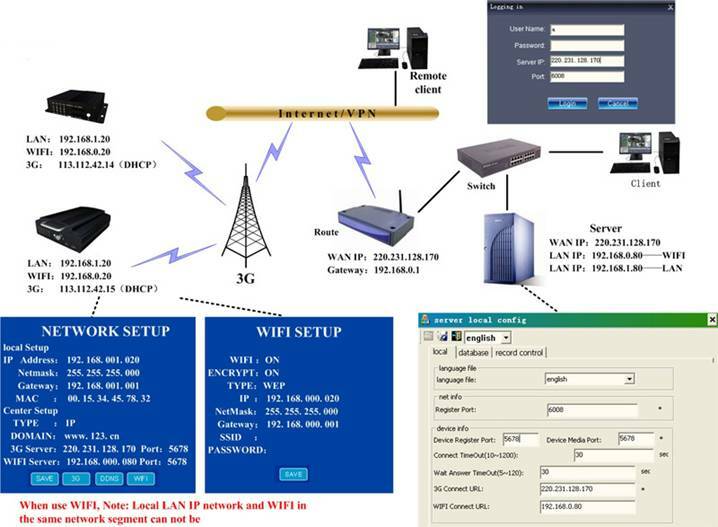 Support for 3G wireless transmission function, the various 3G standards, WCDMA, CDMA2000, TD-SCDMA ...., or GPRS, EDGE, WiFi wireless transmission, optional features. 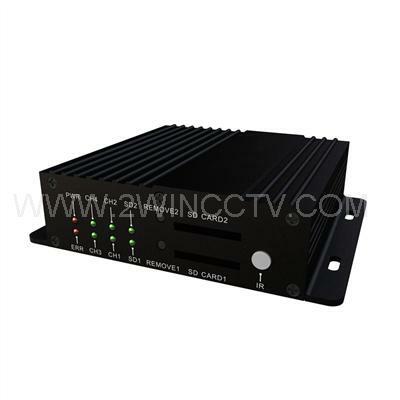 Real-time video: 100f / s (PAL); 120f / s (NTSC); video resolution: CIF / HD1 / D1 optional. Maximum can support 2-CH, D1, 2 CH, CIF format. 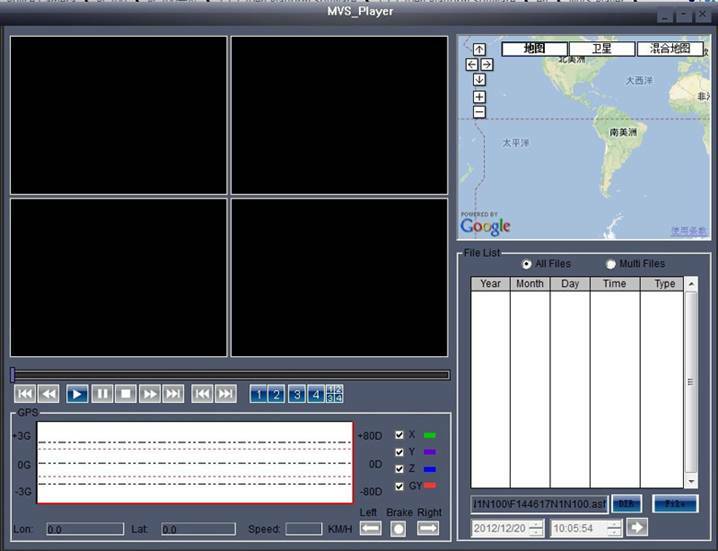 4 channel alarm input, 2-CH alarm output. 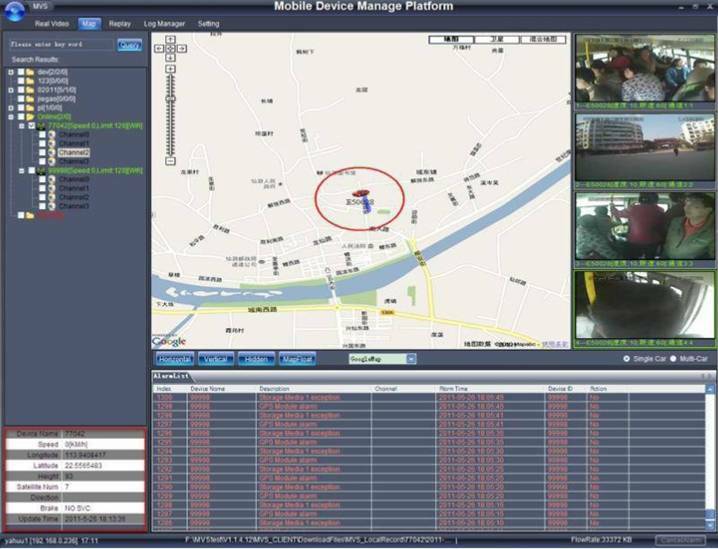 Video mode: start video, timing video, police video. Boot time is short: You can start within 15 seconds the machine quickly into the normal operating mode. Support key switch machine, timer switch machines, delay shutdown. Mini and industrial design appearance, easy to installation, ease of concealment. H.264 main profile. Using Hisilicon Hi3511 high-performance processor, 10bit sample chips. Each video was processed separately, without disturbing each other work. 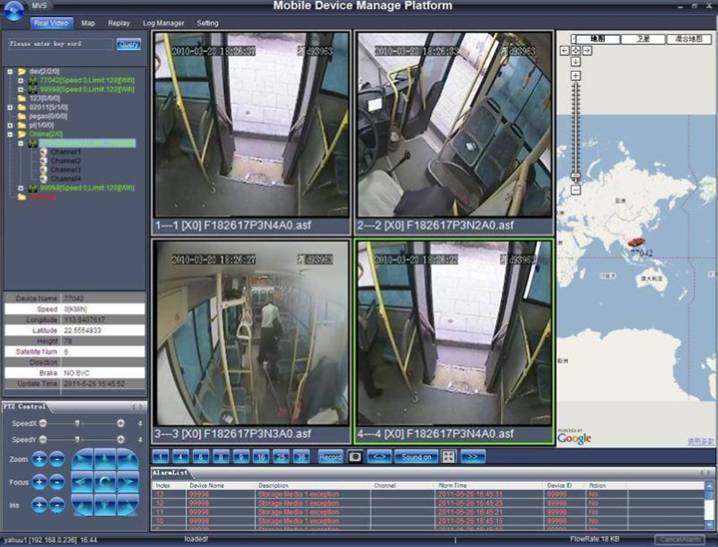 Character overlay function, support logo, time and date, vehicle ID and other information as the video. Support built-in 3G wireless transmission capabilities, WCDMA, EVDO, HSPA, TD-CDMA .... optional, (GPRS, EDGE, WiFi wireless transmission can be customized). According to the time video, video mode (alarm, normal), video memory card video file, etc. to search for video. UPS technology, video data intact saved to ensure that the file is not damaged when an unexpected power down.